Upanayanam is considered an important procedure in Shodash Samskars (Sixteen samskaras). ‘Upanayanam’ means bringing near. Introducing the boy to his spiritual master and to the most sacred Gayatri mantra, the essence of all the Vedas is called "Brahmopadesha". 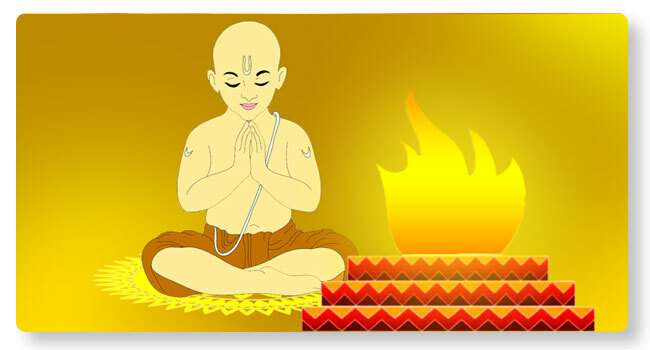 The child, thus obtains the right to study the Vedas and to participate in Vedic performances.